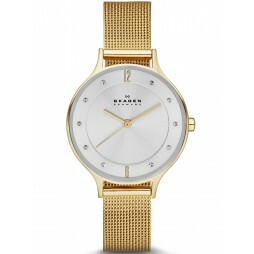 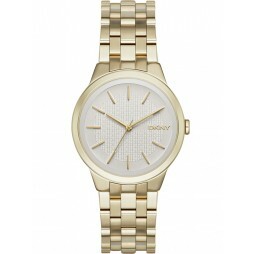 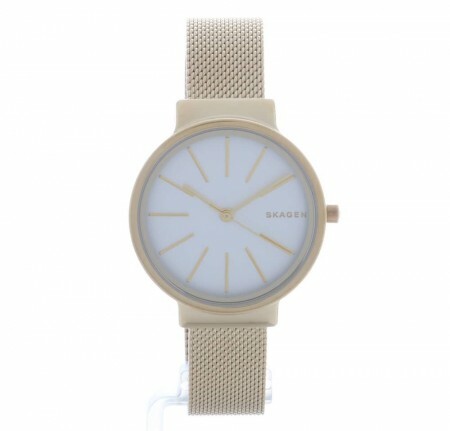 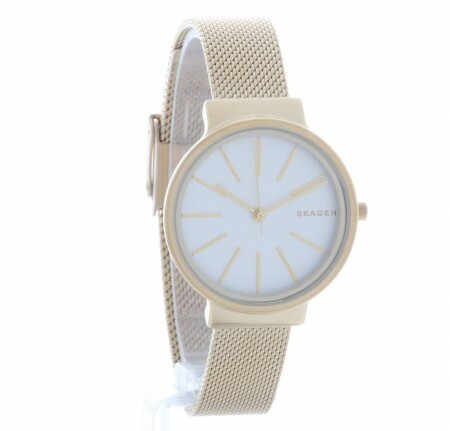 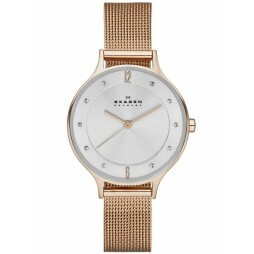 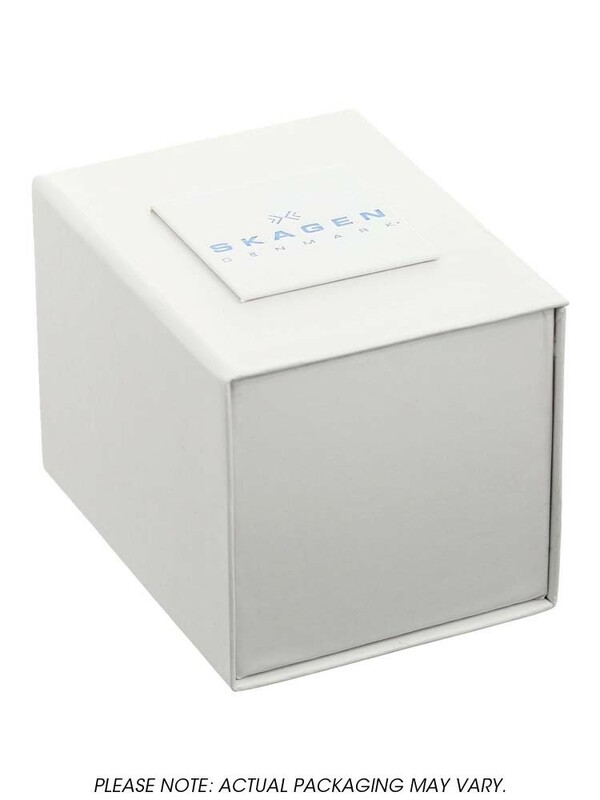 Skagen present this gorgeous ladies watch from the Ancher collection. Crafted from stainless steel material that forms the mesh bracelet and gold plated casing. 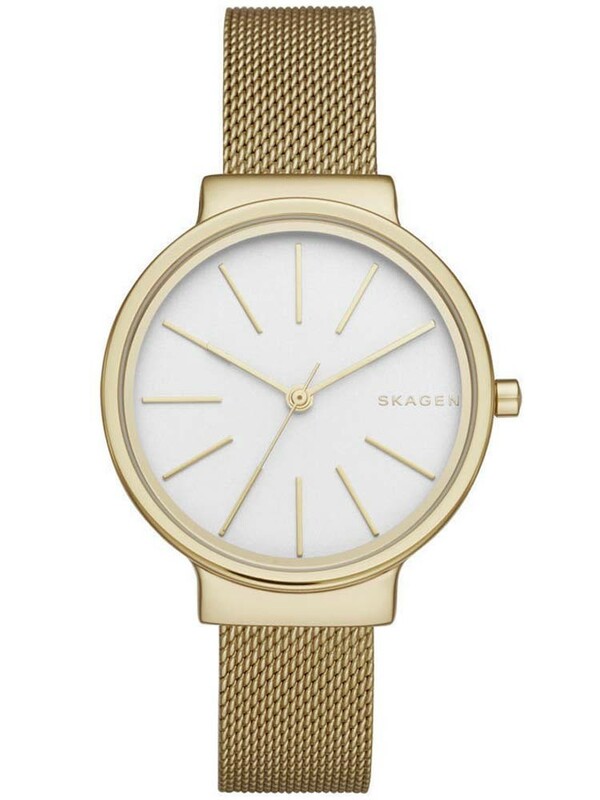 The round white dial comes complete with slender hands and matching hour markers.